CO.STARTERS is in a unique position, supporting starters with tools for launching, supporting grassroots leaders all over the country and around the world with curated resources and tools to build better community support systems for starters, and collaborating with national partners to encourage ecosystem building. Here are a few new resources from some of our national partners that have been released recently. The International Business Innovation Association (InBIA) and JPMorgan Chase & Co. are collaborating to release a series of playbooks to provide resources for the growth of specific communities and demographics of entrepreneurs. The first playbook, Elevating Women in Entrepreneurship, is a 78-page guide that covers community outreach techniques, how to develop a female-supportive network, solutions for work-life balance, how to fix the pipeline to encourage more women investors, and more. The aim of the playbook is to provide strategies for engagement, launching and scaling that can be implemented immediately to support women entrepreneurs. 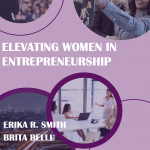 Elevating Women in Entrepreneurship is a great resource for CO.STARTERS member organizations to create deeper and more effective engagement with women entrepreneurs. In the next few months, watch for the other two playbooks on emerging urban neighborhood-built communities and minority entrepreneurship. Download Elevating Women in Entrepreneurship here. At least 83 percent of entrepreneurs do not have access to the capital they need to grow their businesses through bank loans or venture capital. Almost 65 percent use personal and family savings as startup capital, and almost 10 percent carry balances on personal credit cards. 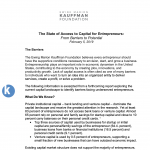 The State of Access to Capital for Entrepreneurs surveys what is known about the problem, historic efforts to help entrepreneurs gain access to capital, and emerging solutions. 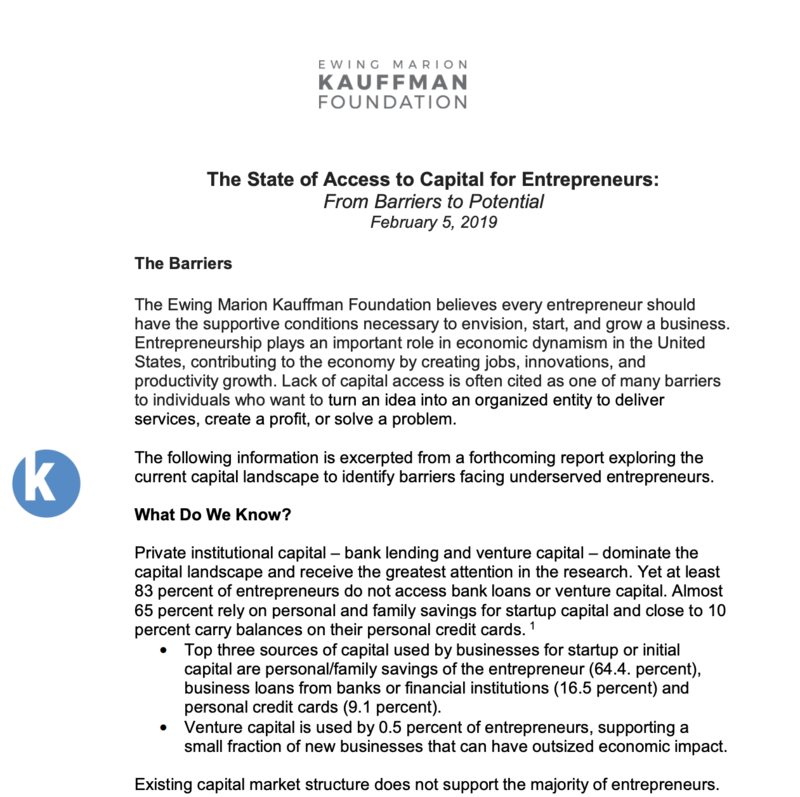 To read about the Capital Access Lab initiative, submit your own idea, and download a copy of The State of Access to Capital for Entrepreneurs, click here. 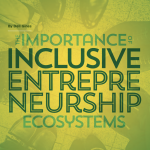 Main Street America recently published its annual State of Main report, which included this excellent article about building inclusivity into entrepreneurial ecosystems. 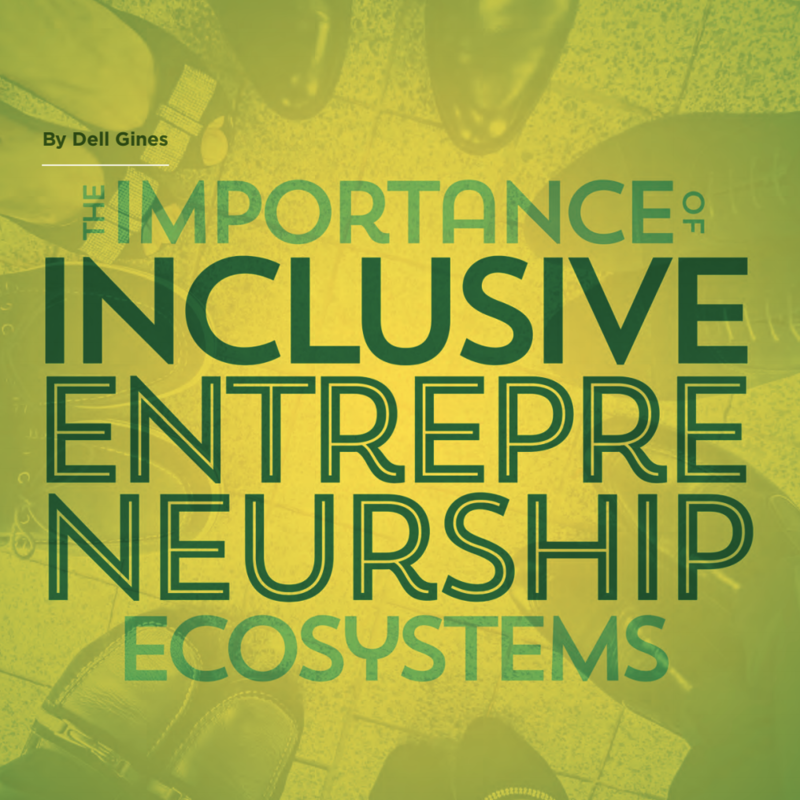 To download The Importance of Inclusive Entrepreneurial Ecosystems or the entire State of Main 2019 report, click here. 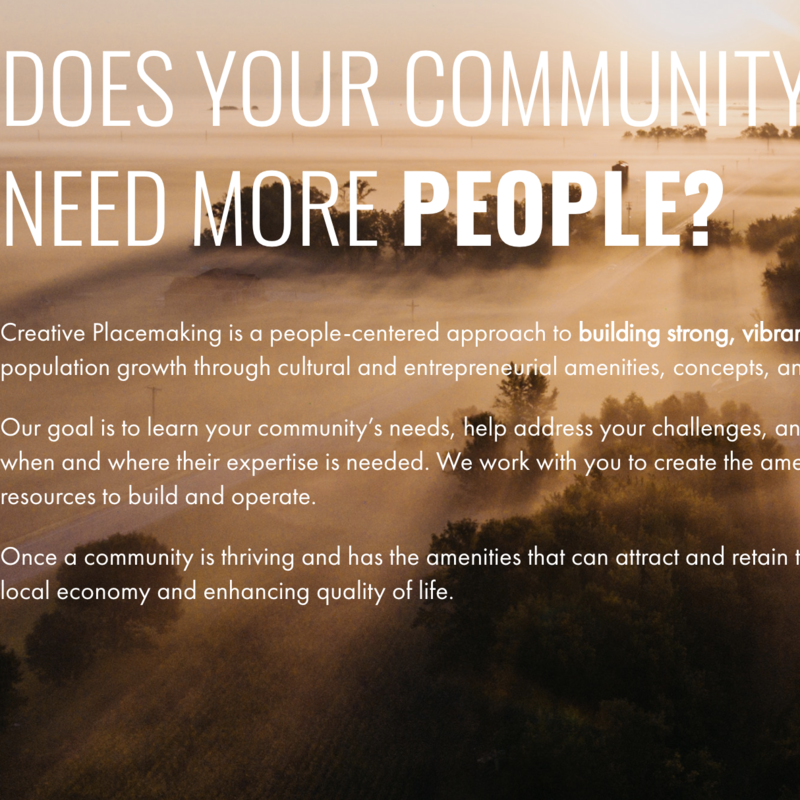 CO.STARTERS is partnering with McClure Placemaking, which itself is one of several partners in the Rural Economic Development Innovation (REDI) initiative, organized by the U.S. Department of Agriculture to help rural communities create economic development plans. Rural communities of less than 50,000 are eligible to apply for technical assistance and be guided thorough a planning process to create a full economic development plan to improve the quality of life for current and future residents. The REDI application can be found here. 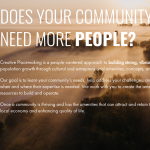 Learn about McClure Placemaking here.